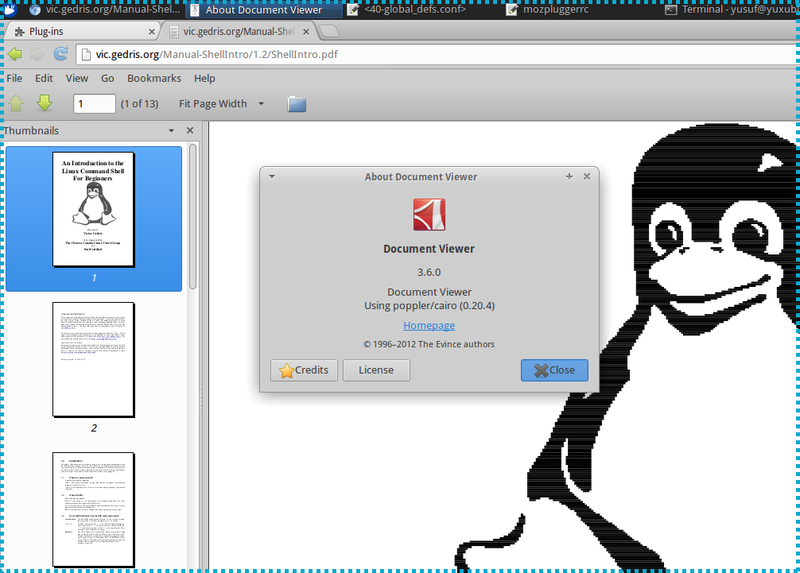 Unlike Google Chrome, Chromium doesn't ship with a built-in PDF viewer. To get around this issue, you need to use Mozplugger which is a Mozilla plugin that allows external viewers to be executed inside the browser itself. repeat noisy swallow(evince) fill needs_xembed: evince "$file"
From now on, Chromium will open PDF files inside the browser using Evince.